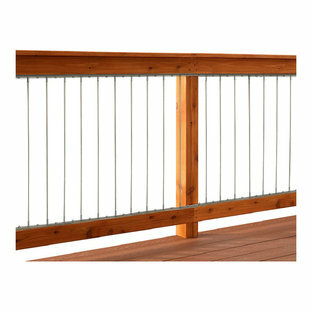 Dolle INSTA-Rail Vertical Cable Railing Inserts for decks - NEW! 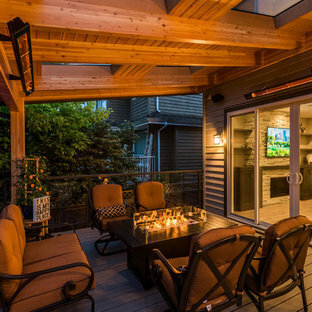 Beautiful idea for deck makeovers! 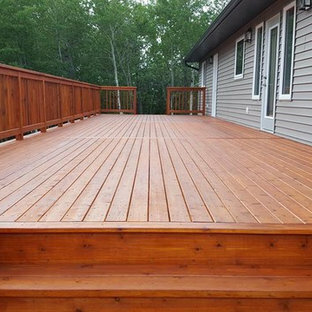 Prova INSTA-Rail Vertical Cable Railing Inserts for decks are the affordable DIY solution for improving the look of your deck! 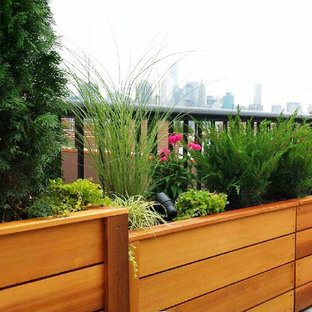 This Carroll Gardens rooftop garden features custom cedar planter boxes filled with a lush mix of junipers, maiden grass, arborvitaes, creeping Jenny, and purple coneflower. The plants are illuminated with black metal up-lights for a dramatic nighttime effect. To see more of our projects, please visit www.amberfreda.com. 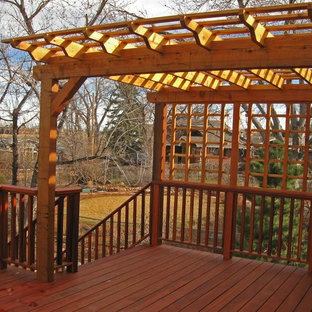 Staining your wood with PPG will help keep out termites, mold, mildew and many other pests that can cause rot. 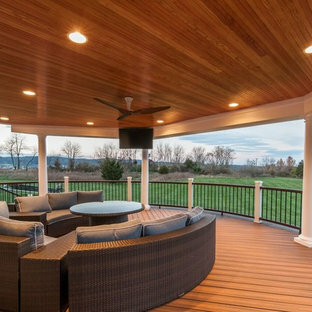 Zuri® Premium Decking by Royal® will transform how you live your outdoor life. 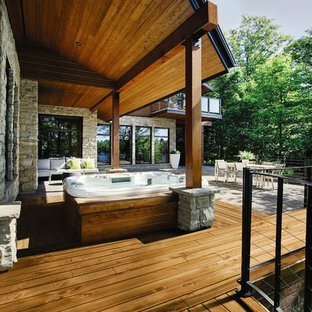 Our multi-layered premium decking is the luxurious result of passionate forward thinking and painstaking execution. 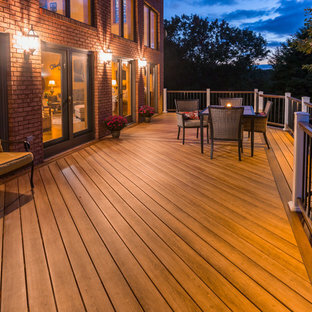 No other decking looks as amazing and lasts as long as Zuri. 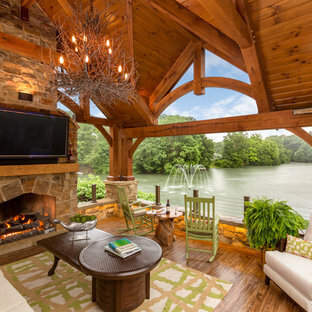 Which means, you can revel in the stunning beauty of exotic wood without the need to paint, stain or reseal to maintain that beauty. You can have an envy-inducing deck that's resistant to scratches, stains, color fading, slips and moisture. Alle Hölzer sind aus naturbelassenem Lärchenholz. 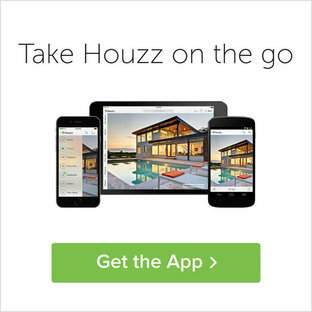 By Aaron Bollman & Company, Inc.